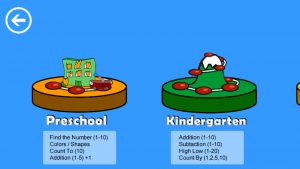 Math Games for Kids is designed for Kindergarten,1st grade, 2nd grade, and 3rd grade students. Math Games contains a variety of mini games to help teach your child math skills. 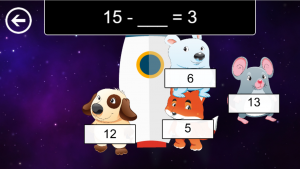 The learning games help young kids have fun with math and numbers. They help students get familiar with the numbers even at a preschool level. The math lessons include multiple grade levels: Preschool, Kindergarten, first grade, second grade, and third grade. The app is structured into worlds, one for each grade. 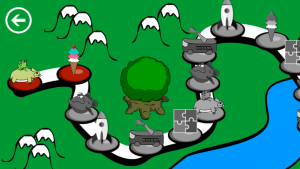 Each world contains a path of mini games with lessons appropriate for the respective grade. As the kid passes a level, the next level is unlocked. 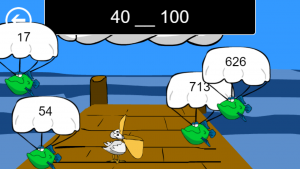 The path lets the child see the progress as they pass each game and helps encourage more learning. Each grade consists of several different lesson plans throughout their adventure in each world. Math Games for Kids is not just basic addition and subtraction fact tables. The lessons include and are not limited to: Counting, Find the unknown in the equation, Skip Counting, Find the Number, Smallest/Largest for the basic levels and become harder at the higher levels. To see all the lessons, click on the “Scores” button on the main menu. You can also track your student’s score per level and lesson. 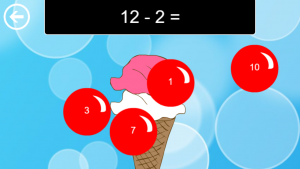 Have fun popping bubbles as you stack a super ice cream cone. Watch out! the ice cream might fall over. 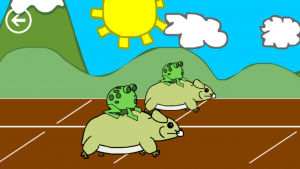 Find the correct word to speed up your rat to win the race. Listen to the number and then complete the jigsaw puzzle to see it. Mr. Pelican is hungry and it is his lucky day. Fish are parachuting down. Help him to learn to eat the right number. 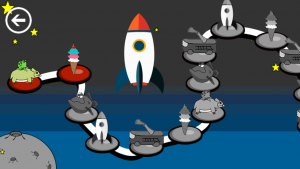 Find the correct number to build a rocket. Blast off!